Eddie Kramer Completes Posthumous Jimi Hendrix Trilogy With 'Both Sides Of The Sky' Producer and engineer Eddie Kramer brings continuity and freshness to Hendrix's posthumous canon with a new album. Jimi Hendrix performs at the Hollywood Bowl in Sept. 1968. Producer and engineer Eddie Kramer still remembers the first time he heard Jimi Hendrix play. It was 1967 and he was assigned to work with a young guitarist that everyone in London was talking about. 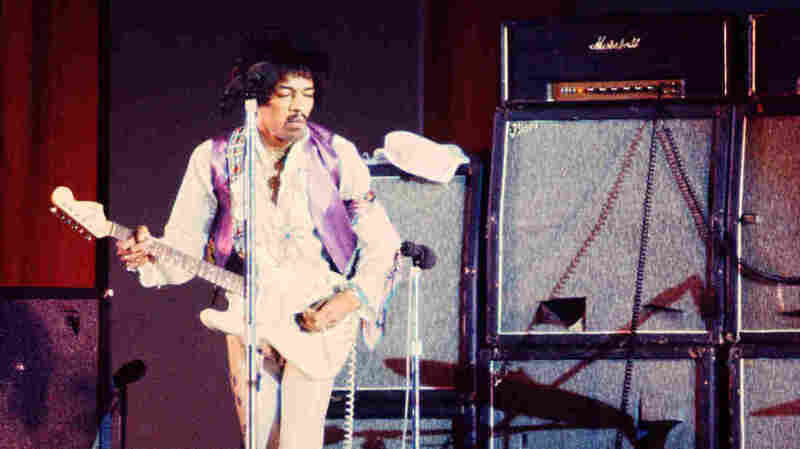 "Jimi got up and plugged into the Marshall stack," Kramer remembers. "I had never heard anything like it. It just completely blew me away." At the time, Hendrix was recording his debut album, Are You Experienced. Now, more than 50 years later, Kramer co-produced Both Sides of the Sky, the third album in a posthumous trilogy featuring the best of Jimi Hendrix's unreleased studio recordings. When they worked together, Kramer and Hendrix fed off each other to push the guitarist's music to new technical heights. Kramer seemed to understand Hendrix's unique musical language. Kramer says he still hears Hendrix's voice in his head directing him in the studio. "He did have a tendency to describe sounds in colors," Kramer says. "If he said, 'Hey, man, give me some of that green,' I knew exactly what he meant; it was reverb. Or if he said, 'Hey, man, more red,' I knew it was distortion. And then if it went purple, it was really stupid distortion." Kramer would go on to mix and record every album Hendrix made before his death in 1970. Both Sides of the Sky captures studio recordings Hendrix made between 1968 and 1970. It was a transitional time for Hendrix, spanning the breakup of his first band, The Jimi Hendrix Experience, and his work with other players. 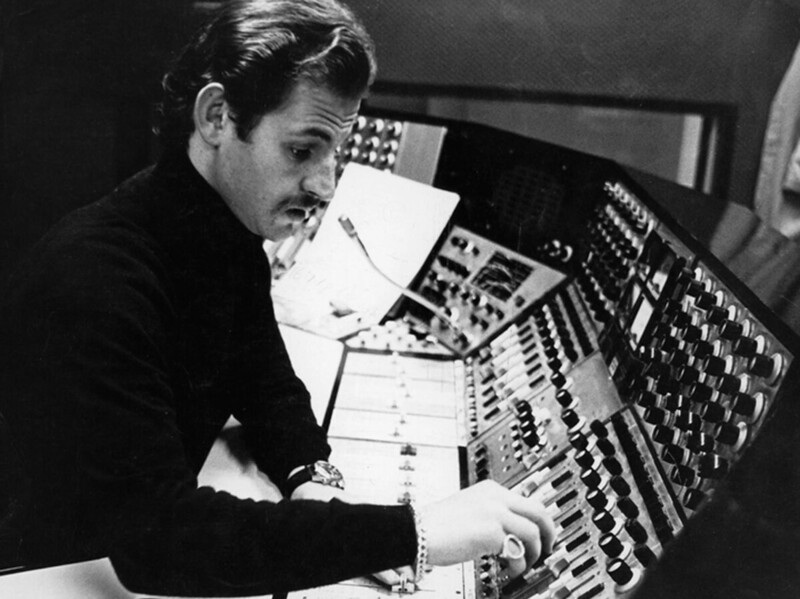 Eddie Kramer in the recording studio. "He used the studio as a rehearsal place, and thank goodness that was happening, because tape was running and he would bring in different musicians to try to figure out what he was going to do with his musical direction," Kramer says. Kramer says sometimes it would take Hendrix nine months to complete a song. Many of the songs of this record are audio cuts of songs prior to being completed. The album also features notable cameos from artists like blues guitarist Johnny Winter, as well as Stephen Stills. Stills sings the Joni Mitchell tune "Woodstock" which he would go on to record with Crosby, Stills, Nash & Young. Kramer says there's not a lot of unreleased studio recordings left in the Jimi Hendrix vault, but 48 years after Hendrix's death, he still hasn't tired of working with the rock star's material. "I get so excited," Kramer says. "I want to keep doing Jimi Hendrix for the rest of time." Both Sides of the Sky is available now.